I Can Do What With Social Media? Social Media is rapidly growing and expanding. Tens of millions of people use Social Media on a daily basis. We use it for personal and professional reasons. We use it to connect with family, distant friends, coworkers, and even companies and businesses. Out there in the social media universe exists many communities of users who work in the same field as you, share the same interests, have the same questions, and want to learn and grow in their profession. Many of them already have social media accounts and are quickly growing in their PLN (Professional or Personal Learning Network). What is a Professional/Personal Learning Network (PLN)? In a PLN, "Most of us belong to more than one learning community. These multiple communities form a personal learning network. If a learning community equates somewhat with a course, then our learning network is equivalent to a degree program." George Siemens, 2003. According to the Wikipedia article, an important part of the concept of a PLN is Connectivism. In short, we as learners create connections and develop networks with like-minded people in order to contribute to our professional learning. These people we connect with don't have to be close relationships and we typically don't meet them in person. So why use Social Media to expand your PLN? Allows you to connect and collaborate with peers from around the WORLD. You can easily find educators who are like-minded, working on the same project, facing the same challenge, or are able to answer your question(s). Your Social Media PLN can contain an overwhelming amount of resources and content! All at your fingertips, whenever you want it, whenever you need it. But you decide what you want to use and how. Your Social Media PLN can provide you with a direct line of contact to businesses, companies, developers, researchers, experts, and owners. And they are all willing to have discussions, answer your questions, solve your problems, and share their experiences with YOU. Your Social Media PLN gives you your very own personalized professional development. You learn what you want at your own pace on your own time. There is also a great blog post over at the "Educational Technology and Mobile Learning" blog about the benefits of Social Media in education. The most important thing to remember about your PLN is to not just be a consumer of information. Your PLN will only grow if you also become a contributor. Find a resource that you like, tweet about it! Is someone asking a question that you know the answer to, answer it! 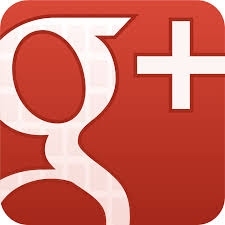 Stumble upon a deep discussion on Google+, join in! In this breakout session, I'll share with you how to use Facebook, Twitter, Pinterest, and Google+ in your PLN.